(Newser) – Cops in a small Prince Edward Island town have warned that drunk drivers will be punished with the music of some fellow Canadians: Nickelback. In a Facebook post, the Kensington force warns that they'll be out this holiday season "looking for those dumb enough to feel they can drink and drive," the Toronto Star reports. 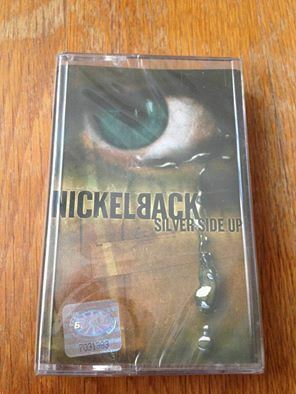 "When we catch you, and we will catch you, on top of a hefty fine, a criminal charge, and a year's driving suspension, we will also provide you with a bonus gift of playing the office's copy of Nickelback in the cruiser on the way to jail," says the post, which has a photo of an unopened cassette copy of the Alberta band's 2001 "Silver Side Up" album. Nickelback? Is that what they call the guy who throws the football up there in Canaduh?